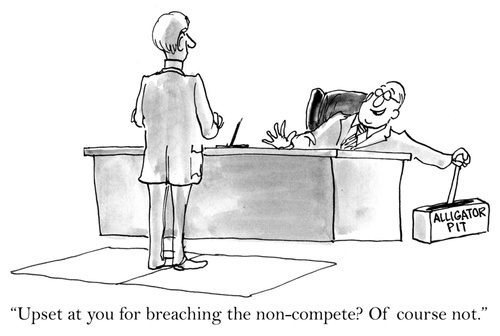 Last year changed the tide on noncompete agreements in the United States. Many states, including California, Connecticut, Illinois, New York, Rhode Island, and Utah have enacted laws or encountered legal decisions revoking the power of noncompetes. States like Idaho, Maryland, and Washington are looking for similar legal and legislative actions in 2017. Moreover, a report by the White House found evidence suggesting noncompetes can stifle innovation through the reduced dispersion of skills and ideas between companies, as well as decreased opportunities and desire for entrepreneurship and increased unemployment. The report also found that approximately 15 percent of workers without a college degree and 14 percent of workers making less than $40,000 a year are subject to noncompete agreements. When noncompetes are intended to protect trade secrets, it’s tough to justify requiring low-level workers who are not privy to sensitive information to sign such contracts. With the changing tide and additional research proving the impact of noncompetes on workers and the marketplace, insurance producers need to consider if working for an agency that requires them to sign a stiff noncompete agreement is what they want. Restrictive agreements are a common occurrence in the insurance industry, which leaves many top producers feeling compelled to sign. However, better options are available. An entrepreneurial or lifestyle agency focuses on the producer. They typically offer equal compensation for new and revnewal clients, equity in the book of business, stock options, schedule flexibility, and the freedom to move to another company if things don’t work out. If you’re interested in learning more about other agency options and would like to request a confidential consultation, click below. For tower technicians, can nighttime climbs be made less risky?